Over Labor Day weekend, I attended our area’s largest flea market. As a handmade artist, I enjoy going from booth to booth to see the beautiful home decor pieces, furniture and outdoor sculptures all created using reclaimed materials. The booths with the pallet art and furniture were extremely popular, with pieces ranging from decorative wall art to dining room tables, as well as outdoor furniture. We discovered a unique bench handcrafted using pallets and a tailgate from an old Chevrolet pickup truck. With our focus turning to autumn decor, I found myself drawn to the vintage framed screens hand painted with colorful scarecrows and pumpkins. One of my favorite booths is that of an artist that reclaims framed windows from old homes and paints beautiful landscape scenes on the glass with stunning results. Products handcrafted using reclaimed materials are unique, artful and more sustainable than many of today’s mass produced items. As I admired the creativity, I was reminded of the idiom “One man’s trash is another man’s treasure.”. Each year small businesses reclaim and salvage a significant amount of materials. This not only helps eliminate landfill waste but also preserves part of our past. I posed the question, Does your business upcycle or use reclaimed, salvaged materials? to the members of the Etsy Christmas In July Team. I grew up in Southeast Louisiana. When I was a young girl, my father taught me to respect nature as it is a finite part of our environment. We would go for walks along the waterways just talking about life and taking in the beauty of the sun setting over the marshlands. Sometimes we would come upon a unique piece of driftwood, which would end up in his workshop waiting for the perfect wood carving project to showcase its beauty. 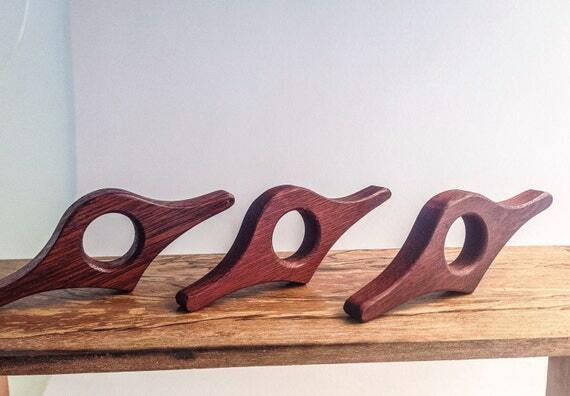 Most of the items in my shop are made from reclaimed wood. 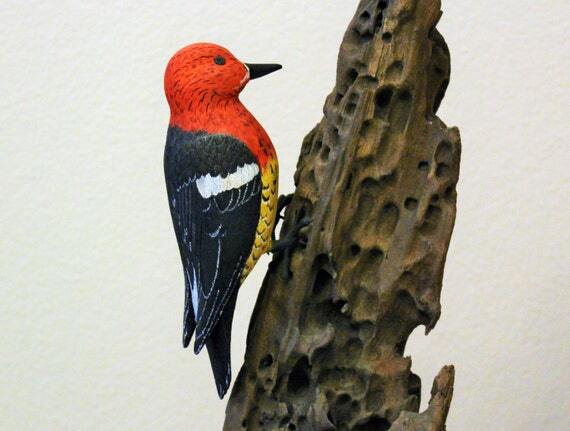 I chose to feature my father’s hand carved woodpecker bird because I love its overall appearance, particularly the bird’s beautiful red head and its unique cypress driftwood perch! 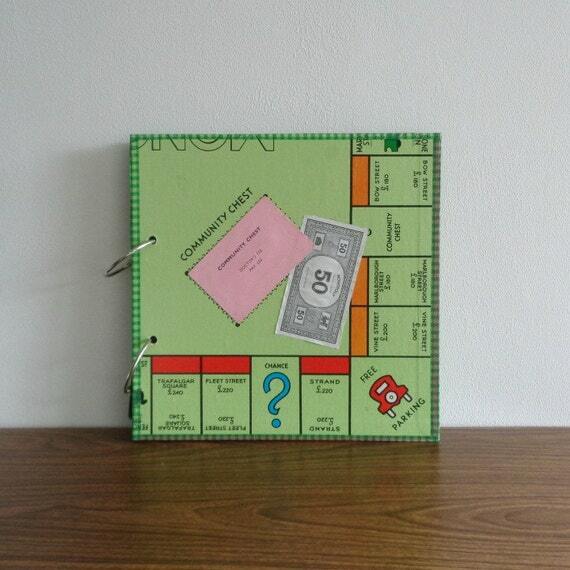 I use a variety of games pieces to make a selection of items, from magnets to jewelry, scrapbooks to decorations. One box with an incomplete game can make a scrapbook or a clock with the board, a variety of cards and magnets from the cards, and some fun jewelry or key rings from the game’s pieces. As a furniture maker, I have a deep and enduring respect, as well as appreciation, for the materials I work with. I despise waste and do whatever I can to reduce, reuse, upcycle, repurpose the offcuts I generate. I make bangles, pendants, earrings, brooches, and finger rings regularly. The one item I most enjoy is my Book Bird. A practical, functional item that I really do enjoy making. I love what I do!! I repurpose wine corks in my shop. Hence the name Corky crafts. Guess what I promote wine drinking… HA HA HA….uh well least we have fun in our craft room. My friends & family donate their corks and every cork creation gives life to a little cork that kept wine fresh. Speaking of fresh here is a new fresh item in our shop just in time for your Christmas planning…. I love this subject! 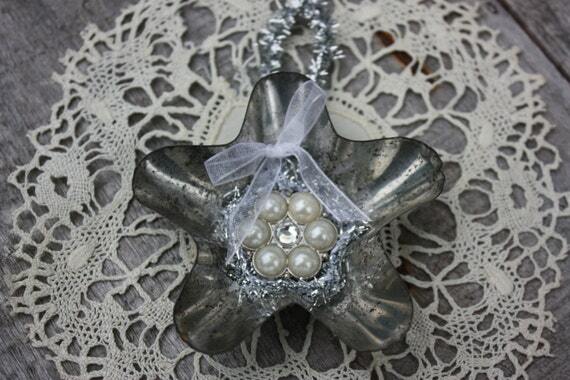 I love to take garbage and turn it into something beautiful, or something old new again. I love glass, wood, and old or broken jewelry to reclaim/recycle/upcycle any of those terms work great. 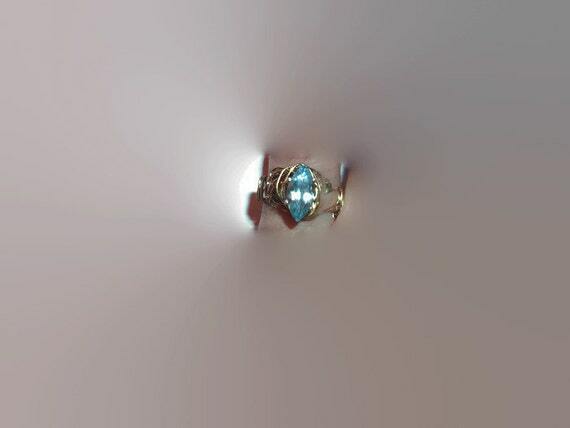 Below is a ring created from a broken pendant, and a broken ring that was just left as a band. 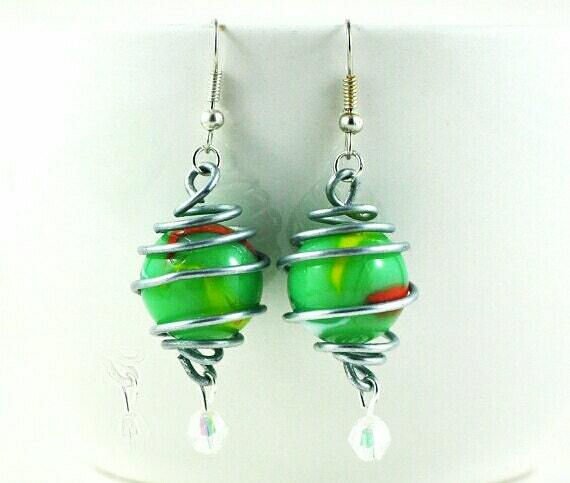 I used wire to wire wrap them, and the result is beautiful and affordable. Nice small size to fit a small hand or pinky ring. 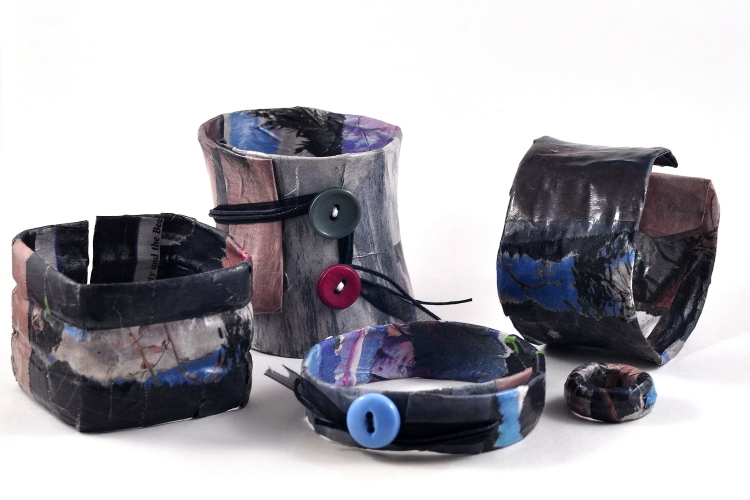 My shop is mainly ceramic homewares and jewellery, but I do love using repurposed materials to create some different jewellery pieces. 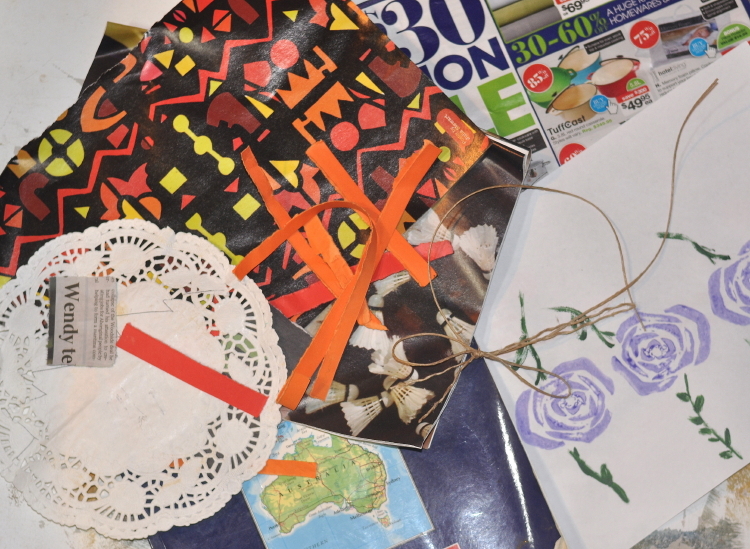 One of the materials I use are marbles – yes, my kids old marbles! The colours and patterns in them are truly beautiful and they are lightweight and lend themselves to necklaces, earrings, bracelets, pretty much anything! This is great! Using reclaimed, salvaged materials is a perfect way to help save the environment. 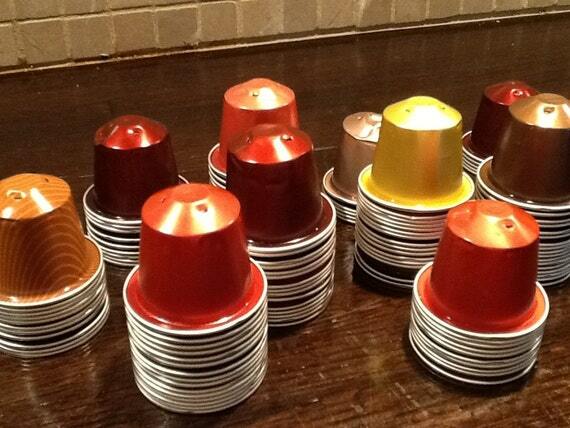 We offer recycled aluminum Nespresso capsule pods to crafters to make items out of. Interestingly enough, most of these get shipped overseas from the US. It is a great way to recycle and not let these go into the landfills. And the art and jewelry made out of them is really cool. I love to re-purpose and recycle items into my handmade creations, but was getting tired of using the same old bottles, bottle caps, etc as my materials and wanted something new to work with. 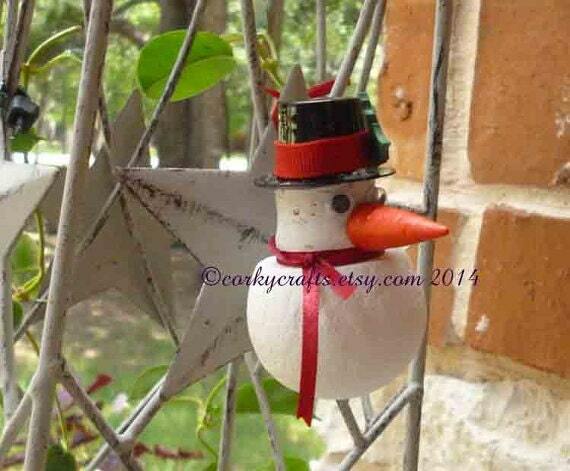 About 2 years ago I realized the possibility of re-purposing soda cans and quickly began making lots of ornaments and decorations with them. Today, the majority of my creations have some sort of ‘soda can ornament’ incorporated into them, and people are always shocked to find out that the item they are purchasing was made with a soda can! My husband does wood turning as a hobby and I am frequently salvaging different types of timber off cuts or ‘non usable bits’! left on the workshop floor. From such finds, I weave my magic and create one of a kind jewellery, usually pendants or necklaces, featuring these re-purposed timber off cuts. The necklace below features a fine silver heart and two round Tasmanian Oak beads prepared by me and incorporated into this creation. Next we visit the workspace of Emma and Ivan from treadandpedals who make gifts for cyclists from upcycled bike tread and pedals. Please visit their shop and heart some items, and maybe even buy a gift! We have a home based Studio and Workshop in the Dandenong Ranges of Victoria, Australia, this is where we create all our Tread & Pedals gear. The real magic for us happens in the workshop – welding, soldering, angle grinding, hammering, tinkering… it’s the place where we roll up our sleeves and bring our ideas from the drawing board into real life. Like many others our house has been taken over by our work gear and we find ourselves, when not up to our elbows in bike parts in the workshop, in the house nestled among bike tires and inner tubes, cutting and cleaning, always making or dreaming of new items. 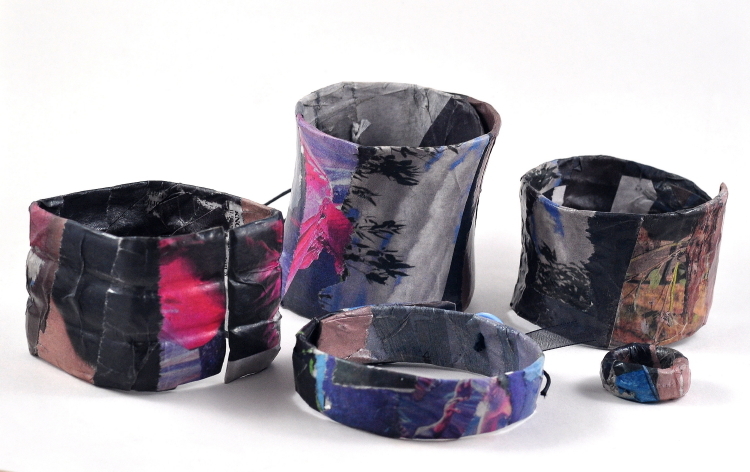 As an Etsy seller I love making jewellery and am passionate about upcycling, so this project combines both – we are making a cuff bracelet from plastic bottles decoupaged with newspaper, decorative papers and whatever extra adornments inspire you. AND a SELECTION of coloured paper, tissue paper, paper doilies, gift paper, stamps, calendars, maps, greeting cards, original drawings, children’s drawings, photocopies (not inkjet prints as they may run) and anything else you may think of! and whatever else inspires you!! Got all your ‘ingredients’? What’s next…. 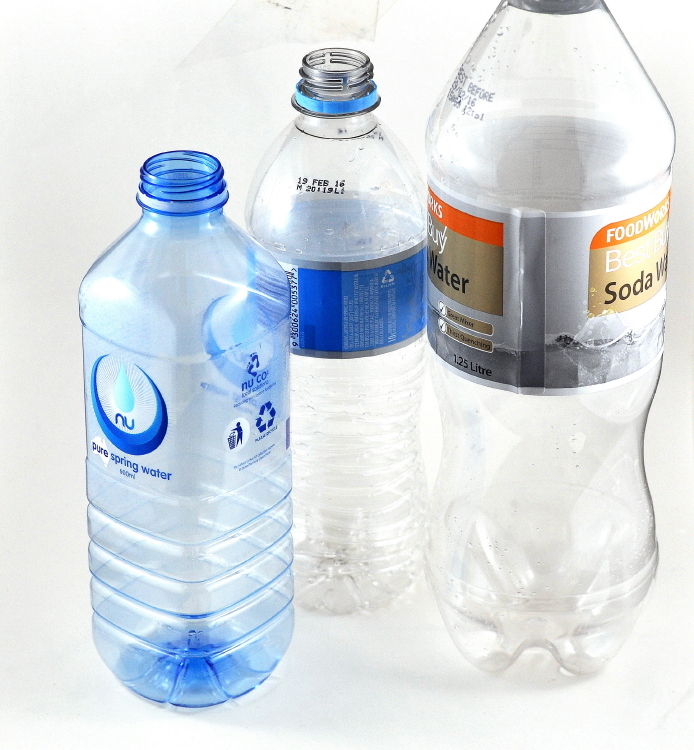 Choose a plastic bottle that, when cut, will fit around your wrist – be creative – it doesn’t have to be a round bottle, and if it is too big this could be an opportunity to add fasteners (buttons, etc) at the end. Using your craft knife carefully cut (away from yourself) a portion of the bottle depending on how wide your want your cuff bracelet to be. If you want your end to be rounded or curved use some scissors to trim the square ends. I kept mine square as this is easier to fold your decoupage ends neatly and tightly. 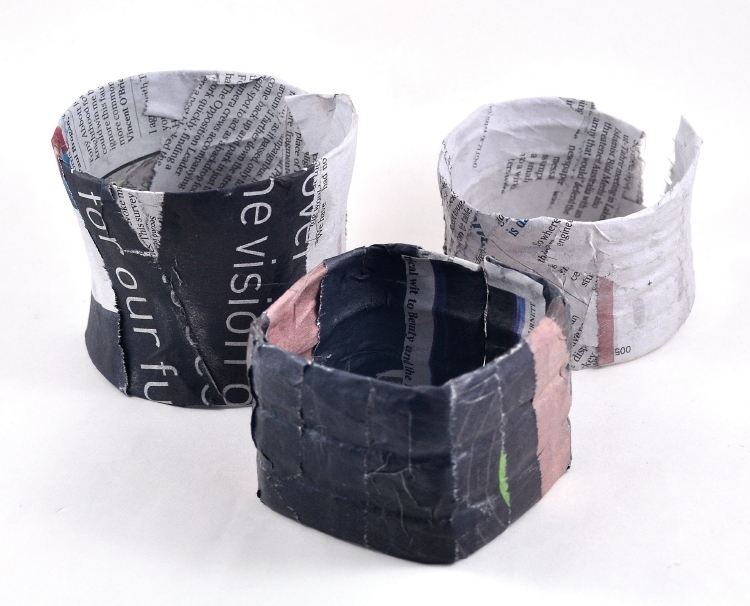 The first three layers of your cuff will be built up using newspaper strips – use newsprint as this will be covered up – unless of course you want newsprint or certain words to feature in your bracelet – in this case reserve those pieces of newspaper for later layers. 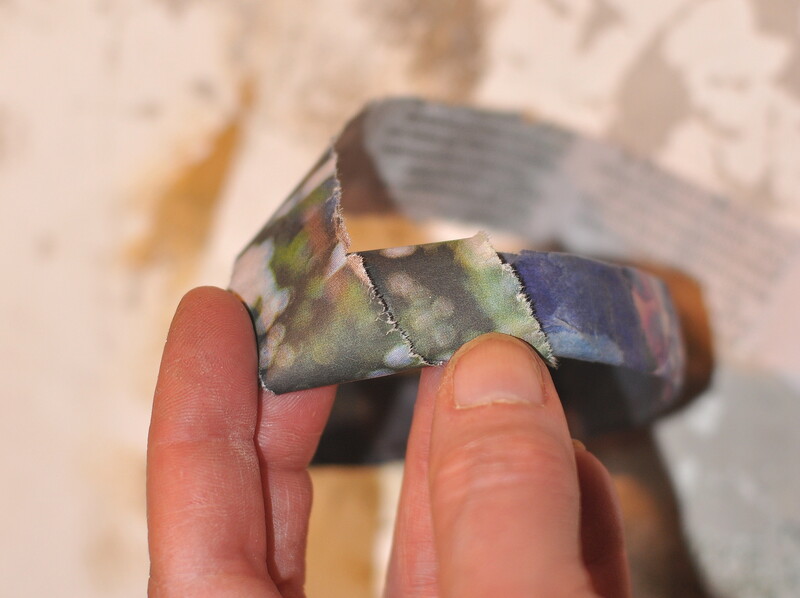 Tear the newspaper layers using a ruler, rather than scissors, or simply go with the grain of the paper and tear them manually in about 2 cm wide strips although you won’t see these initial layers in the final product it does lend a textured surface beneath your final layer which will add to the final textural finish. 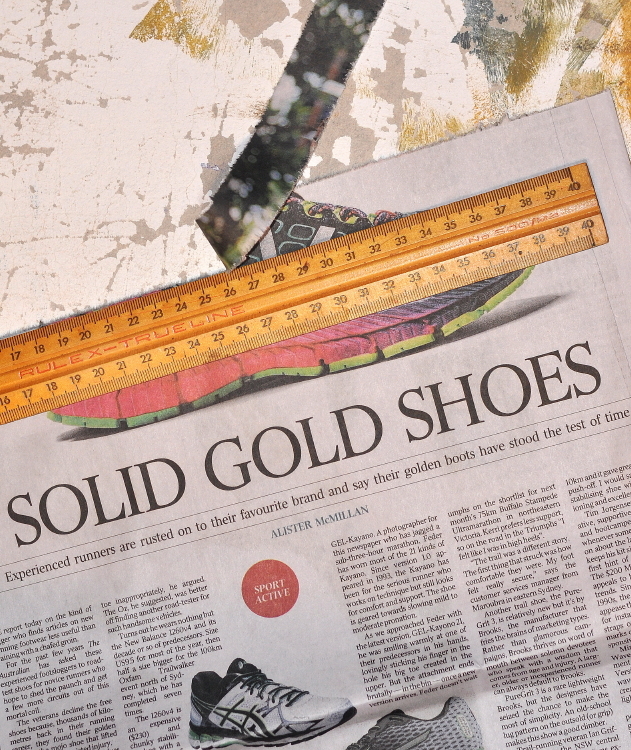 As you tear the newspaper look at both sides in case there are any colours or patterns you would like to reserve for the final layer. Next pour a small amount, about the size of a ten-cent piece, of PVA into a shallow dish. 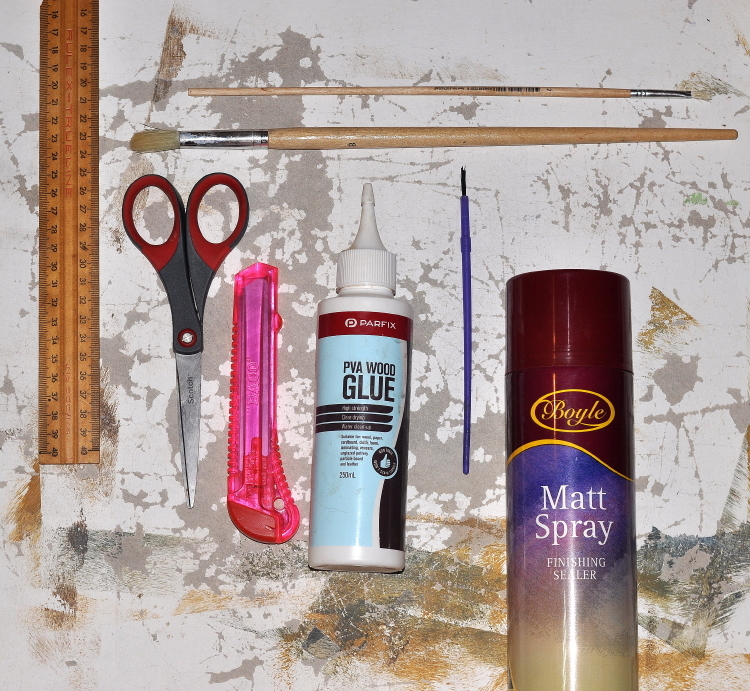 Put your brush (approximately size 8) into the container of water and then place the brush in the PVA and mix. Apply a generous amount to strips of paper, individually, and wrap diagonally around the plastic cuff until the entire surface is covered. (the water makes the paper more flexible and more easy to slide along the plastic). 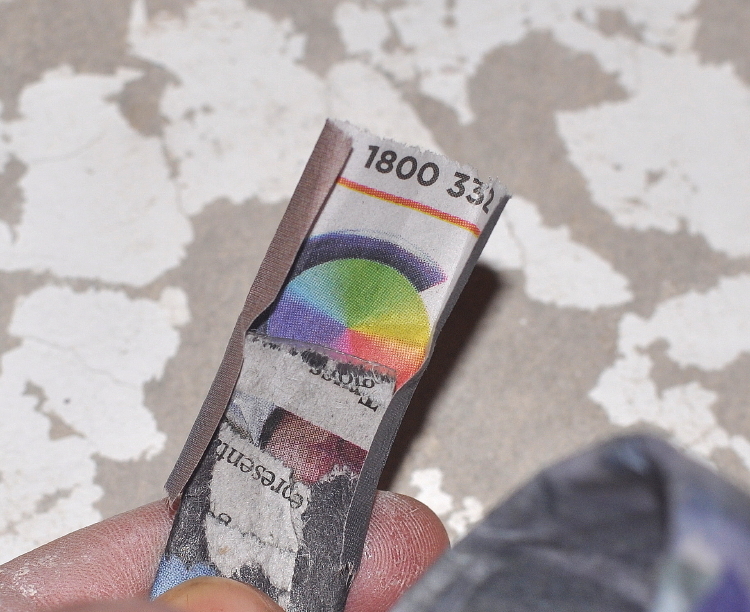 If there are any stubborn edges of paper that won’t lie flat use a small stiff bristled brush dipped in the water/pva mix to encourage it into place – until it does what it is told! The skewer can also be used as a mini rolling-pin to rill any bubbles and surface irregularities out; it can also be used to reinforce any patterns or lines in the bottle (see above picture of plastic bottle with indented lines). If you want to retain these lines they will have to be reinforced by pushing each layer of paper while still wet into the grooves. Use the entire length of the skewer to do this by holding it in the groove and turning the cuff. Allow to dry – it won’t take very long, but you could use a hair dryer or heater if you are feeling impatient! Repeat the previous step three times, allowing each layer to dry, and on the final third layer we will finish off the ends of the cuff. 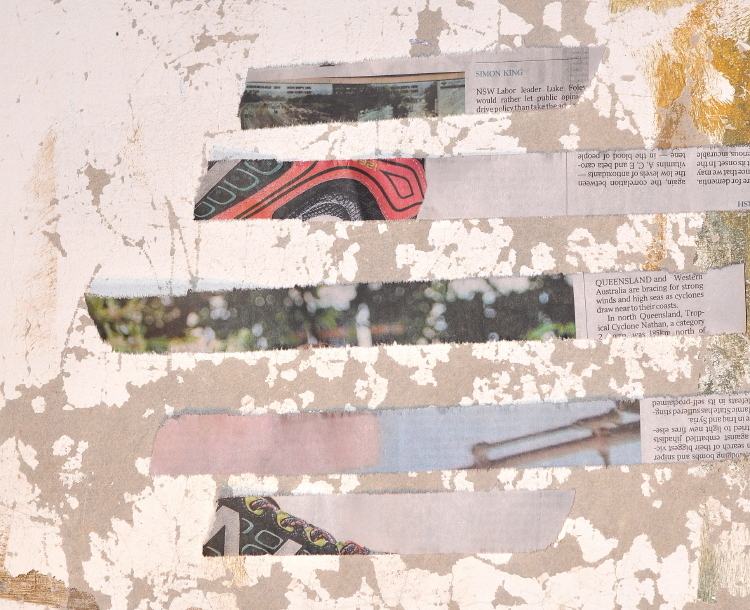 To do this tear a larger square of newspaper that can be folded around the cuff end, tucked in and then folded over the ends – like a square envelope. 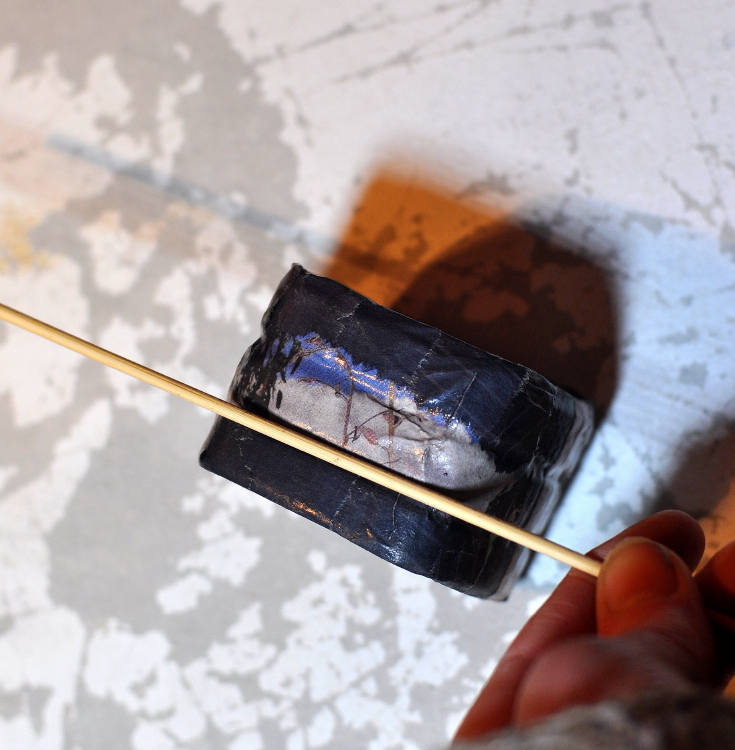 As before, apply the water/PVA mix generously and if need be, use a small stiff bristled brush to coax it into place. Now it is time to think about the final layer we want on the cuff – gather together any reserved bits of patterned newspaper you have, coloured paper, paper doilies, stamps, maps – whatever your vision entails – I have used coloured and patterned newspaper to finish my cuff, positioning the paper in strategic spots to attain the finish I desire. Use the same method as above to diagonally wind your cuff with strips of paper and finish the ends with enveloped squares as above also…. you can repeat this multiple times in various parts of your cuff till you get the design / colour combination that you like. 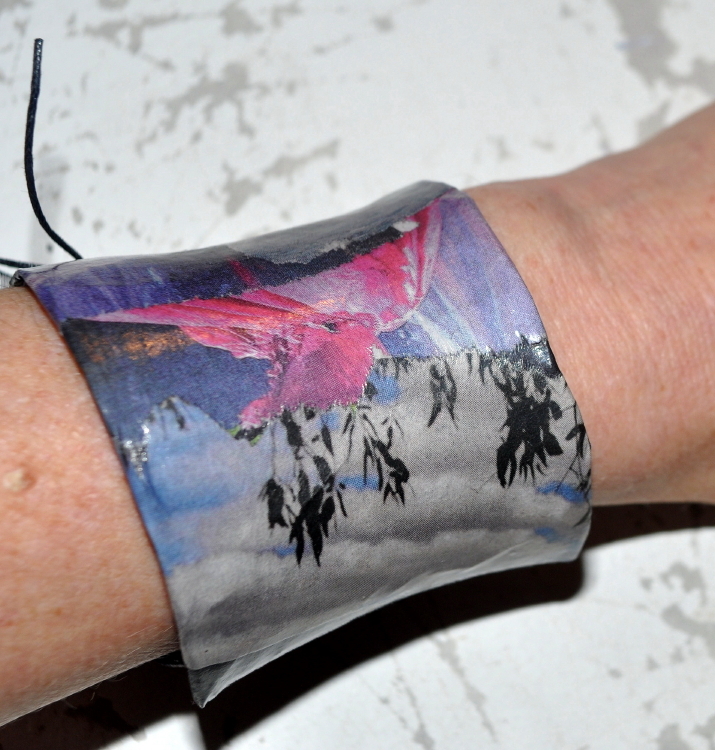 You can also finish with a final feature of a picture or row of stamps, etc across the centre of the cuff as a feature. 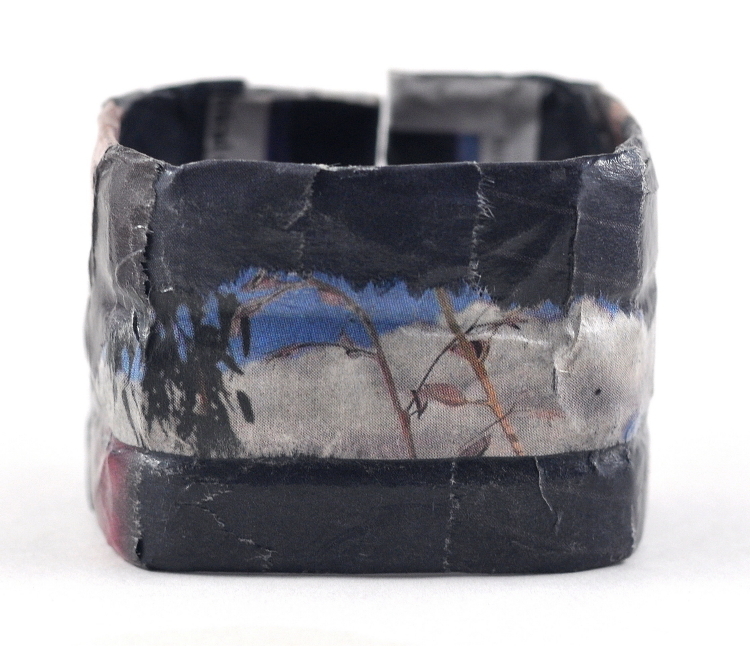 Don’t worry about uneven layers as this adds to the textural feel of the cuff (unless you want a less textured look, then you can be more particular about your layers and the layout of paper strips). Allow this final layer to dry. To seal the decoupaged surface apply 4-5 layers of the water/PVA mix, allowing each layer to dry, with a final sealing of an acrylic, spray or polyurethane varnish – the reason this project only requires one layer of varnish is so that your cuff will remain flexible enough to put on and off. 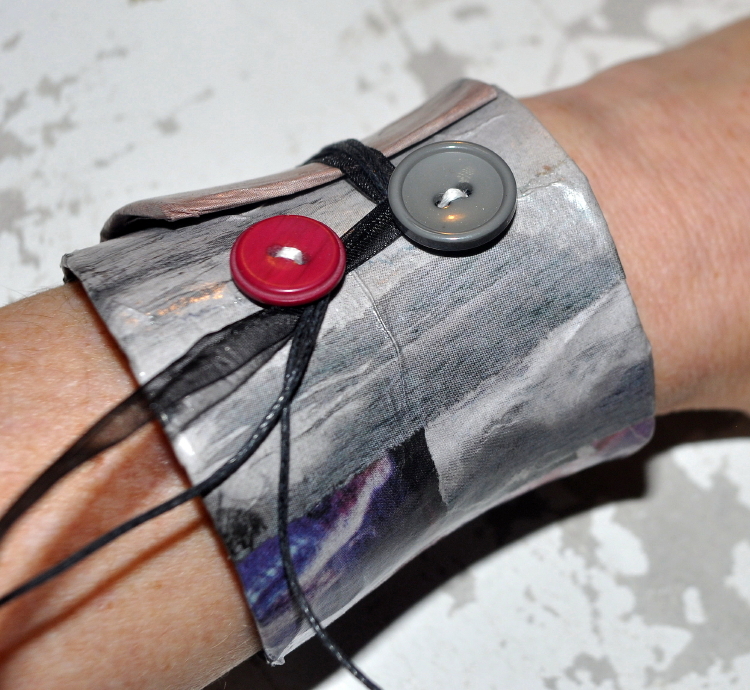 Once your cuff is finished you can adorn it with blingy bits….my cuff was a little big for my wrist so I sewed buttons and leather thong onto it as fasteners to fit my wrist – or any size wrist – it is adjustable! 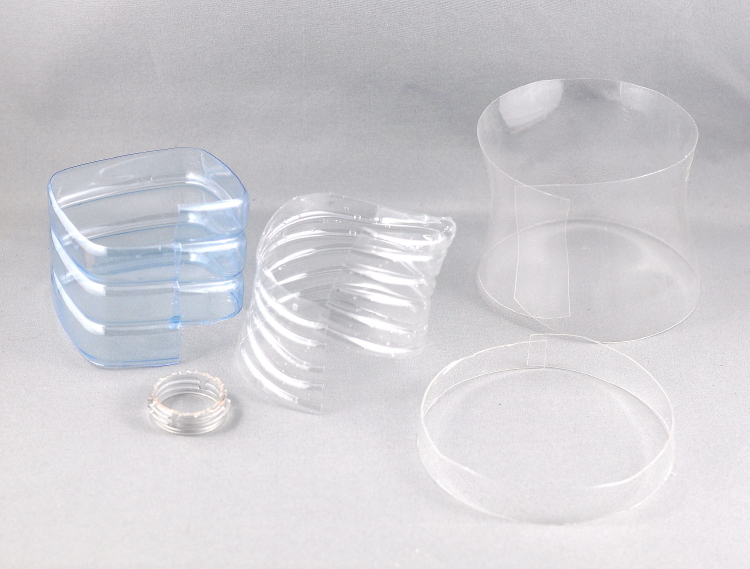 Below are pics of other examples where the bottles I used fitted my wrist so no fasteners were needed. I also made a choker and ring …. the ring was made from the screw top part of the button which I removed using a hack saw as it is thicker than the body of the bottle. I hope you enjoyed this crafty tutorial, and have a great day with many more to come!